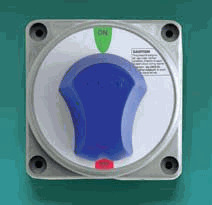 Extra Heavy Duty On/Off switch, Diesel-Rated at 600 Amps continuous, 1,000 Amps momentary. Tough, glass-filled polycarbonate cases and sweep contacts. Alternation disconnect feature.